It’s taken me 4 1/2 years to say that sentence. 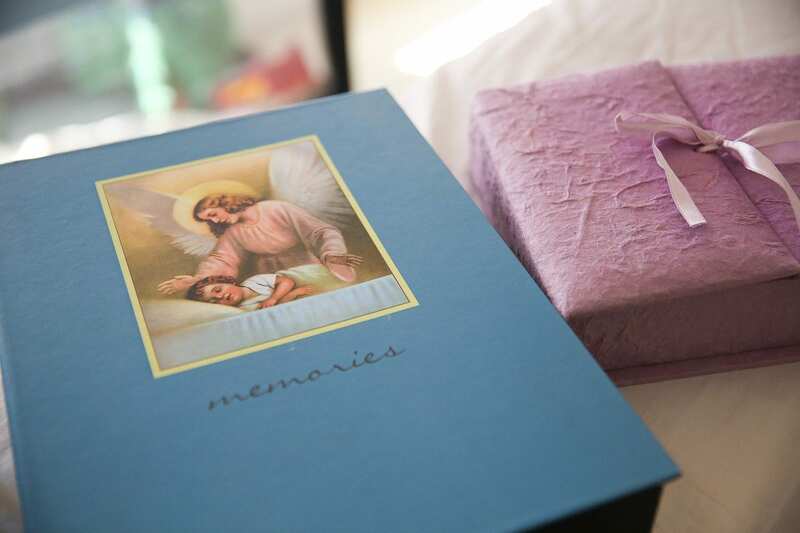 It’s not something I share, mostly because the loss of Roman’s sibling was so traumatic I’ve kept the experience tucked away in a drawer with the hospital blanket and memory box the nurses provided me. 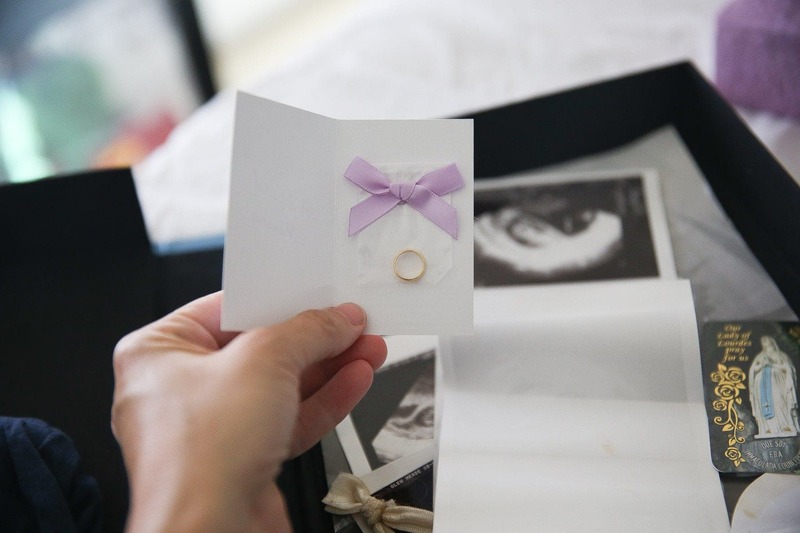 Around halfway through the pregnancy, the ultrasound was taking longer than expected and I remember the tears gushing down my face. I knew when the sonographer left the room the doctor would be returning with the bad news. My heart left my body and I felt numb. I remember being in this place, getting this type of shocking news before. It was sadly, too familiar. How could this happen again to me? Not now, not me…. I pleaded with myself and my husband by my side. I remember begging the doctors to give me some sort of hope for my babies. Turned out that Baby A just died. He simply just died. For no rhyme or reason, he died. Baby B however, was still thriving. What I didn’t know was at this point my body could do one of two things, either recognize the thriving baby and keep going or recognize the death and my body would expel the baby who passed and in turn, I would lose both. I couldn’t breath, I was in a state of shock. I was numb, I was sick, I wanted to go in a corner and just cry. Everyone knew I was having twins so I had to let everyone know that my status has now changed. It was a tragic reality I was forced to face. “At least you have one baby.” “So glad you have other healthy children.” People generally don’t know what to say and nothing could really comfort me. Everyone meant well, but any words, all words hurt my soul. Sure I was grateful for the two at home and the one still alive, but one of my babies died and I had to carry him to term. It was sad, scary, unfortunate and I didn’t know how the fragility of my situation would end. There are no words to describe how it feels to carry one baby who is alive and one baby who is gone. I put my big mommy pants on and had to deal with this. I prayed and felt in my heart my baby who was gone would now protect Roman through the remainder of this pregnancy. I knew he would just stay put and shield Roman from anything bad. I tried not to focus on the other baby being gone, but more so staying healthy for Roman to make the next 20 weeks. I hired someone to drive my car due to my nerves being wrecked. I made it to the end and when I delivered Roman it was one of the biggest exhales I have ever experienced. I melted at the site of my sweet Baby B, who I would go on to name Roman. Before they took him away, they asked, “Are you ready?” “Ready for what?,” I replied. “We have to go in and get the other baby.” I forgot for a split second that this is what would happen next. 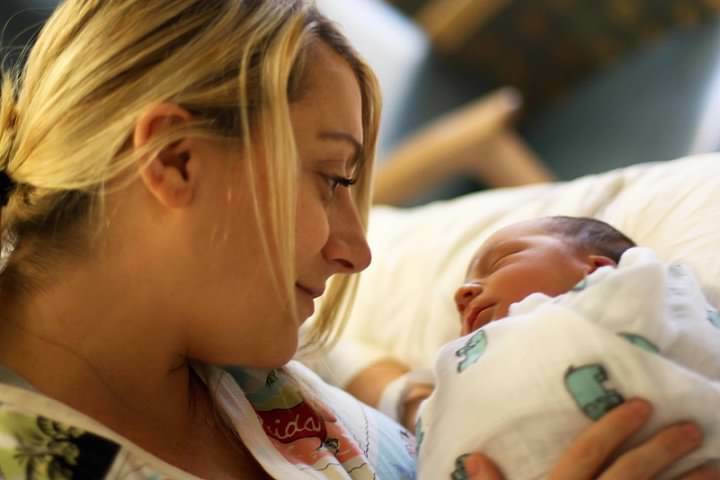 I held onto Roman with a feverishly tight grip, that I inevitably had to let go of and let them get Baby A.
I have his ultrasounds and cards from the entire labor and delivery team saying how profoundly sorry they were. I have a blanket and some other items. I would like to make his gold charm into something special, maybe for Roman to wear when he is older. Roman has such the carefree spirit and sometimes I prefer to let him be rather than wrangle him in. I believe he has his own guardian angel, his brother and it’s comforting. 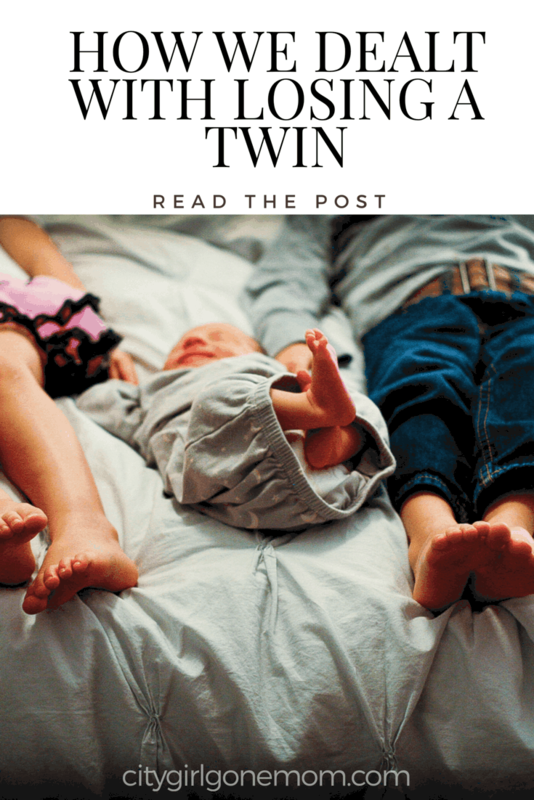 Even though I tell him to always pray and talk to the angels above, the tragic reality that he was a twin would be a bit too much for his brain to wrap around. The idea of even having to explain and have a conversation one day is a bit surreal for me. I will know when the time is right when they are old enough to understand. 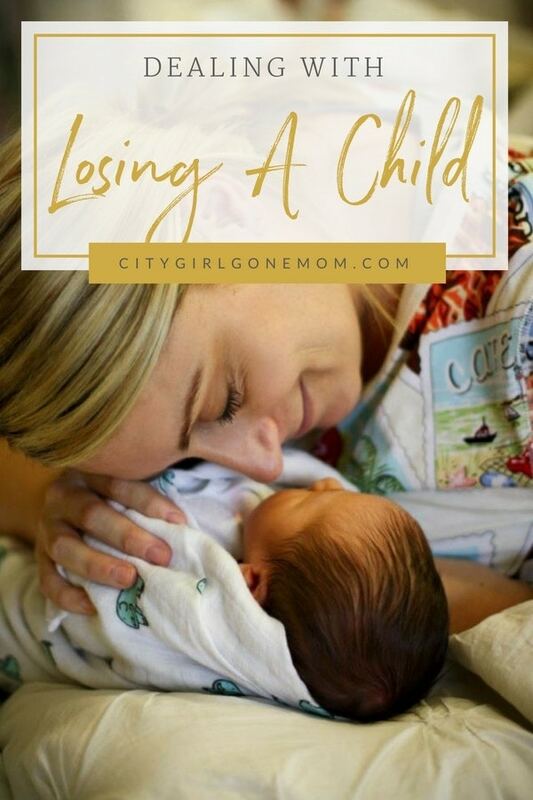 When you lose a child during your pregnancy, there is a void that truly hurts your soul. I think that’s why I happily welcomed my fourth little surprise. Brody has brought so much joy in completing our family. There will always be a level of sadness if I think about what could have been for Roman, for us, but Bobby and I are moving forward. It’s all we can do as parents, is to keep going, pushing each other through these curvy unpaved roads. 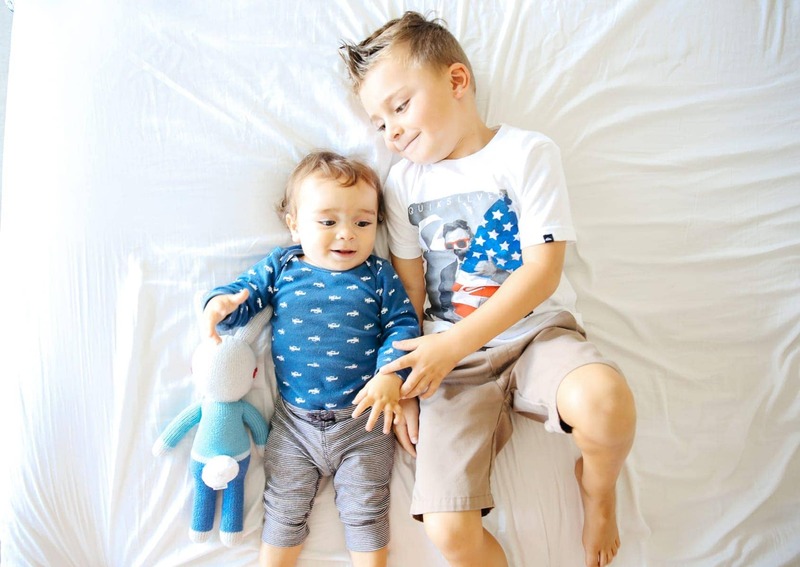 Roman is now a big brother to baby Brody, a position he is thriving in. I do believe things happen for a reason and if I didn’t lose Gabriel, Brody wouldn’t be here. I know there are many others who have been through this heartache. It’s not something people talk about. I hope in the community I am creating with my blog I can relate to someone and let them know, they too are not alone. 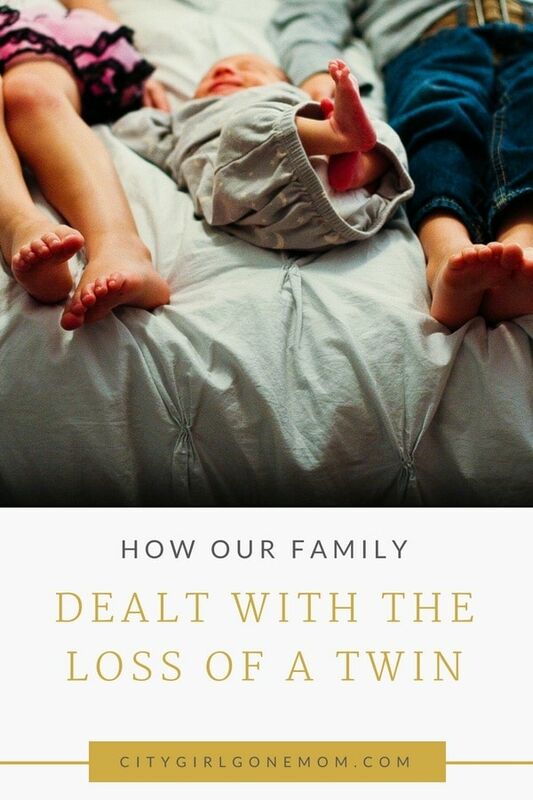 If you too have suffered a twin loss, or multiples loss, there is help. 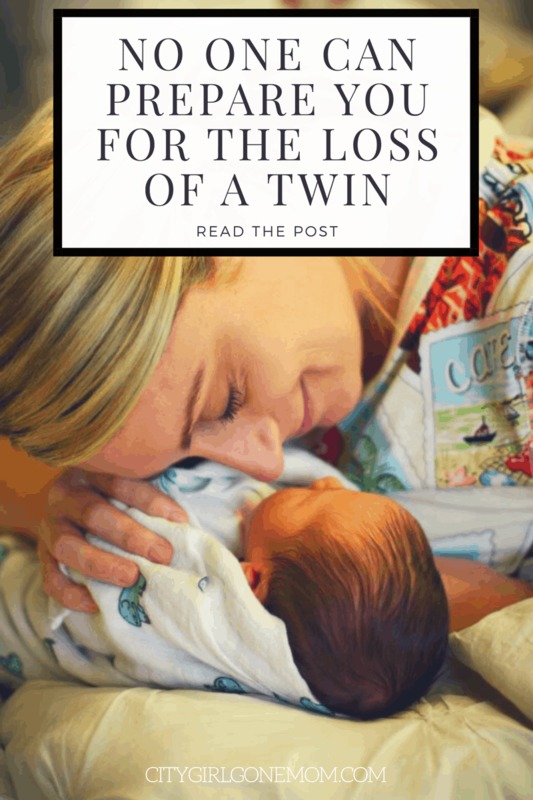 Please take a look at twinlesstwins.org and the center for loss in multiple births. I would love to hear from you, comment below. As you already know, Brady has a special angel looking after him as well. We lost his twin pretty early in the pregnancy though– at around 10weeks so we weren’t as traumatized by seeing the actual fetus in an ultrasound. But yet and still how can you not think of ‘what could’ve been’ and what was not meant to be. I am a firm believer in the notion that nothing in God’s world happens by mistake, still it doesn’t hold me instantly comforted when things like this happens on top of all the rest of the turmoil in the world. It’s juts heartbreaking and there’s no way of getting around it except through due time to heal and process thoroughly. So inspired by you D– to finally be able to face that horrific pain of the past and to deal with it, fastened with a strong yet tender heart. Some souls might’ve been bitter or still deny facing altogether. My heart goes out to you and your Angel Gabriel. Such a tragic yet joyous story afterall. I love you Danielle so much! 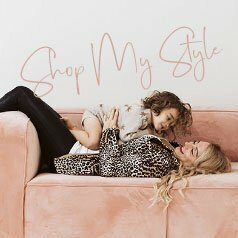 Danielle you moved me with this story. As tears roll down my face I can’t help but think how brave you are to share this story so publicly. You are such a strong beautiful woman. I feel so blessed that our paths have crossed. Love you girl! Great story. Thanks for sharing. Being a momma is tough. You’re doing a great job. Keep up the good work. Your story is important and will touch a lot of people. Beautifully written. Thank you for sharing ? I wish I had the perfect words to comfort you. 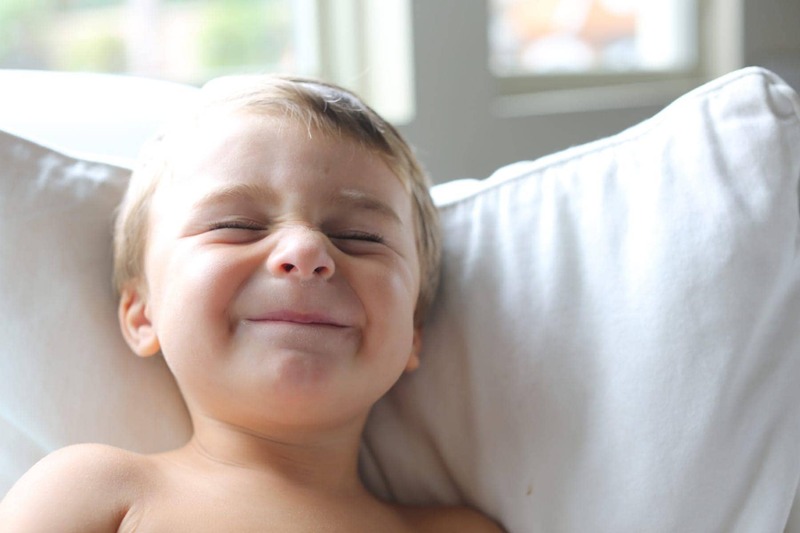 I agree, there is a special angel that watches over that sweet boy and will watch over him forever and ever…..what a blessing. I’m so very sorry about your precious Gabriel. I can’t imagine the strength and grace it took to carry on for the 2nd half of the pregnancy and be mom to 2 older children at the same time. Thank you for sharing your story and bringing awareness to this topic. I am also mom to twins, one in heaven and the other a thriving 7 1/2 year old. Our boy/girl twins were our first pregnancy after many years of infertility. Our son unexpectedly passed away in utero at about 35w5d, about a week before my scheduled induction, and 2 days after an ultrasound and doctor appointment. He had no heartbeat at a routine ultrasound appointment and I was rushed into the c-section immediately in case there was something wrong with our daughter as well. Owen’s death was unexpected and shocking. I was being closely monitored with twice a week ultrasounds at that point, but that doesn’t prevent a tragedy as we experienced. We have been blessed with 3 subsequent babies but we always miss our firstborn son and wonder how it would have been to bring twins home and to see him and his sister grow up together. We chose to take the route of complete transparency and openness with our surviving twin and her 3 younger siblings regarding their brother in heaven. 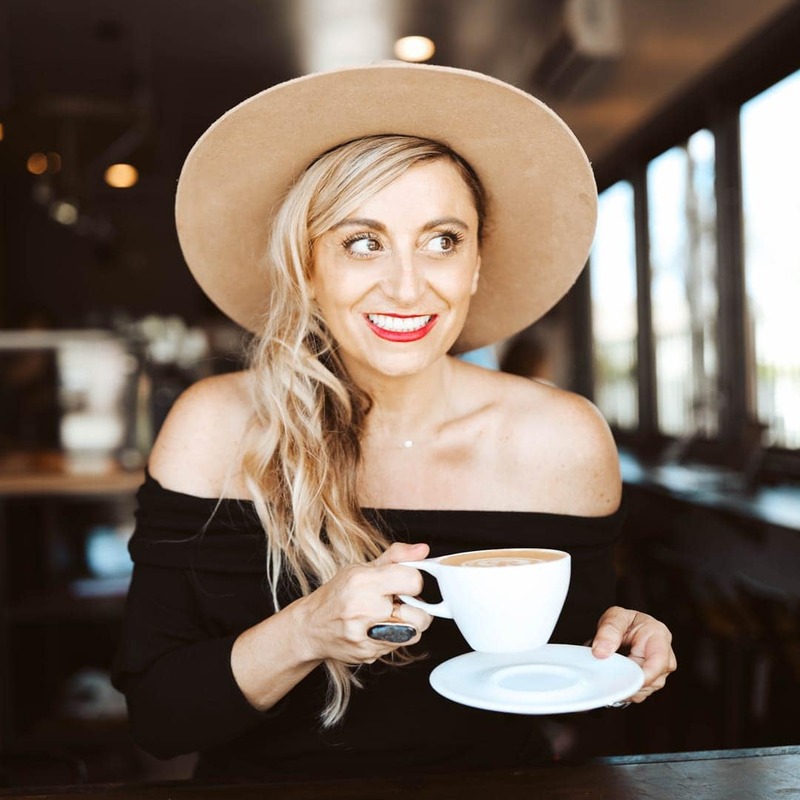 It is such a hard decision to make and you wonder what it is the right way to handle it to prevent any issues later in life (you know, any more issues than we would normally cause by being imperfect parents). I can totally relate to this as well Danielle. When Joey and I went through IVF, we were pregnant with twins. We were so excited after everything we had been through. For unknown reasons, we miscarried both of them. I just couldn’t understand why. 6 months later we found out we were pregnant with Alba. 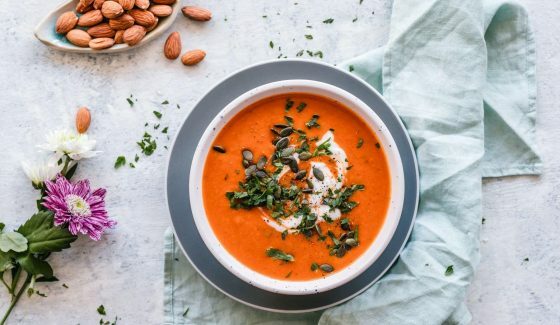 I was so scared that entire pregnancy, I thought my body would try to destroy her too (crazy I know, but it’s just one of those scary things.) Luckily, she was born healthy and all was well. Still, I couldn’t help but think of the two that we lost, and why. Now that we are pregnant with twins again, I feel like these two were meant to be after our little ones that we lost before, and that Alba had to be first to help us. There are so many things we can’t explain, but miracles never cease. I’m so happy for your beautiful family and how strong all of you are together. It is a beautiful inspiration. Thanks for sharing. Loss is such a difficult topic. Although grateful for the ones we’ve carried full term, you are spot on in that there is always a little void that hurts your soul, regardless of how easy or challenging it was to conceive, or how far along. Happy to hear there is a place for people to go for support now. Such a great post. Romeo does have a wing man for sure….he’s indestructible! Oh, how my heart hurts for you and your loss and yet you are not alone and in that I think is a small comfort! 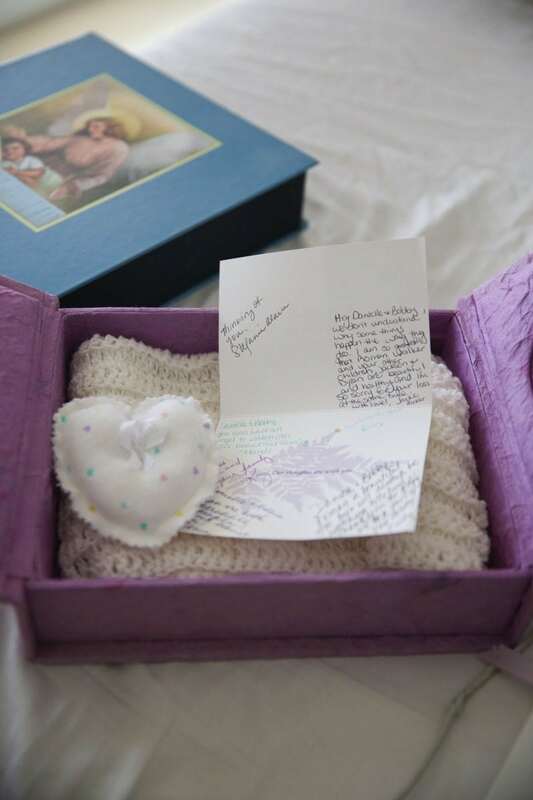 Each pregnancy, each loss is a small piece of us that cannot be wholly replaced. I lost a baby, a twin to my now 8yr old daughter at around 8 weeks. I started to bleed and cramp. The US showed a small tear in the sac and I was so scared that I would lose my other baby. My body absorbed the one I had lost and I was placed on bed rest to help my body to heal and that my remaining baby would continue to grow. I had a lot of US that yr. Always very apprehensive. But at 40 wks my McKenzie was born, all her fingers and toes! I recently told her of her twin. She calls it her doppelganger. She actually thinks it’s pretty cool. Even though I tell her it wasn’t identical and potentially even a girl. She was sad though, as though she felt the loss of a friend. Children are resilient and it’s a comfort to me that one day my family will be back together, even the ones I lost and who weren’t whole. That families can be together forever. And that is the sweetest comfort I can have. Beautiful words for a topic that is heartbreaking. The void loss leaves can never be filled but sharing with others makes me feel less alone in this crazy world. Sometimes life feels like everyone around you pops out healthy babies with no issues while you smile on the outside and cry inside. Hugs to u and thanks for sharing. My survivors name is Brantley Roman? I always said his twin Niko was protecting him even in the womb. Awe thank you for sharing! So true… Niko protected your sweet baby and I love that his middle name is Roman! Wow…your words are too familiar. 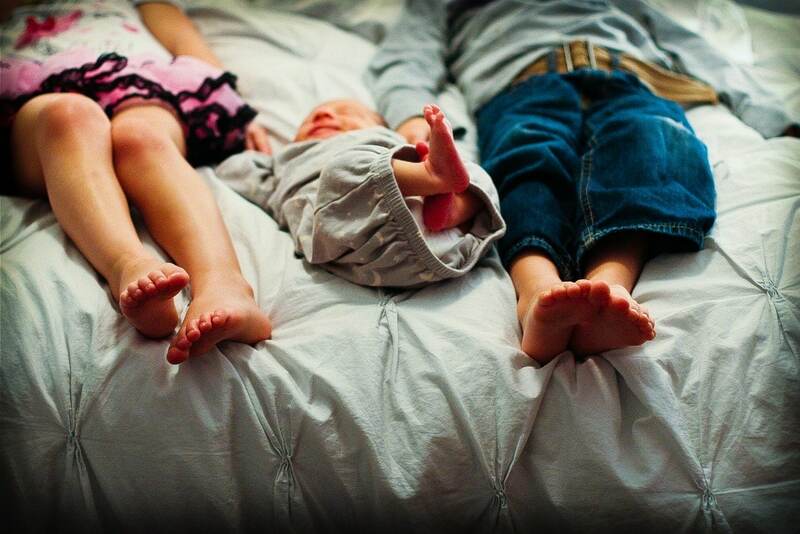 Our son was 8 when we found out we were pregnant again, then to find our we were pregnant with twins! Whoa !! A boy and girl…what I secretly wished for. We were scared to death and excited at the same time. I just prayed for a healthy pregnancy and healthy babies. 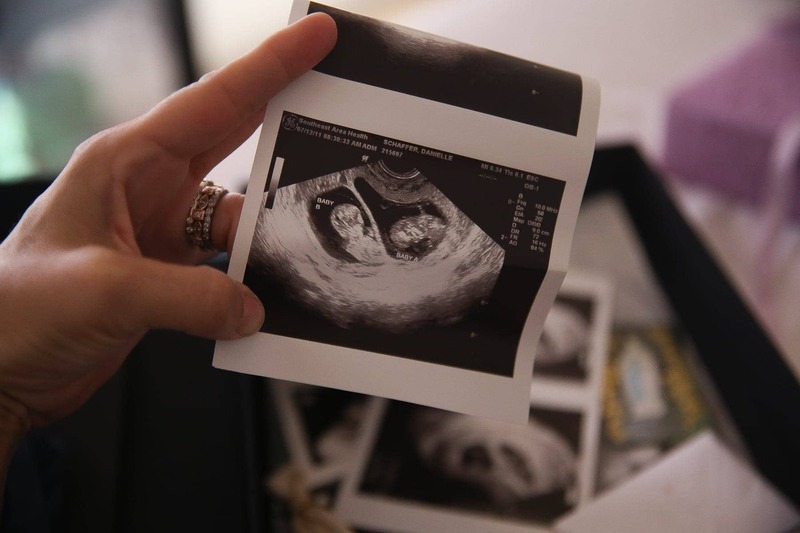 At 35 weeks…2 weeks away from delivery…at the ultrasound the girl walked out. I immediately started crying, I knew something was wrong. Then walks in the doctor, Come to my office he says. 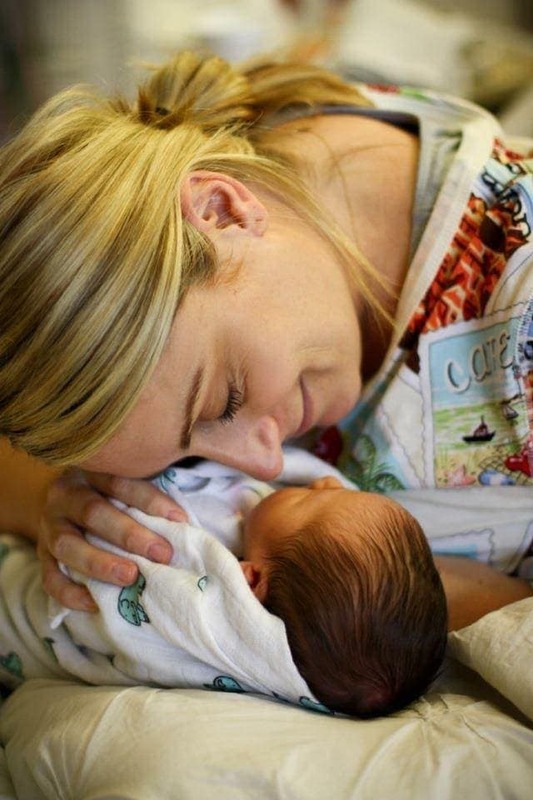 Then he told me…our baby girl no longer had a heartbeat. Almost 20 months later it still feels like Iâ€™ll wake up from this nightmare before too long. We went straight to the hospital where we start steroids for our baby boy, Mason, lungs to develop faster. 3 days later our babies were delivered. Her, Emma Lee, umbilical cord was wrapped around her ankle tightly causing a blood clot. She was perfect. She was full term, weighed 4 lbs 13 oz. Yes, I had a beautiful healthy baby boy but I still longed, and will every day of my life, to have my baby girl too. I remember telling my doctor that I was too sad to be a good mom to Mason. To be joyous and absolutely heartbroken at the same time is something that is hard for others to comprehend unless youâ€™ve been there. And yes, the words that people try to say to make you feel better make you wanna smack â€˜em, but what would I say to someone in that situation?? Now I know that words donâ€™t always have to be spoken. I struggle daily missing my daughter, and always will.